About a year and a half ago, my district went 1:1 with technology. It's definitely exciting, but for those who aren't technology savy, it can be overwhelming! Google Classroom is a great place to share links, post announcements, assign assignments, and much more. It the past, the use of Google Classroom was limited to those who were known as a Google School. That is no longer the case! What does that mean for you? If you have a Google account, you can now set up your own Google Classroom. The only thing that you need to do beforehand is to check into your district's pooicy on creating Google user names for your students (my own recommendation). I use Google Classroom on a daily basis. I can't lie, I still do a lot of paper/pencil activities, but I provide about as much technology activities as paper/pencil. 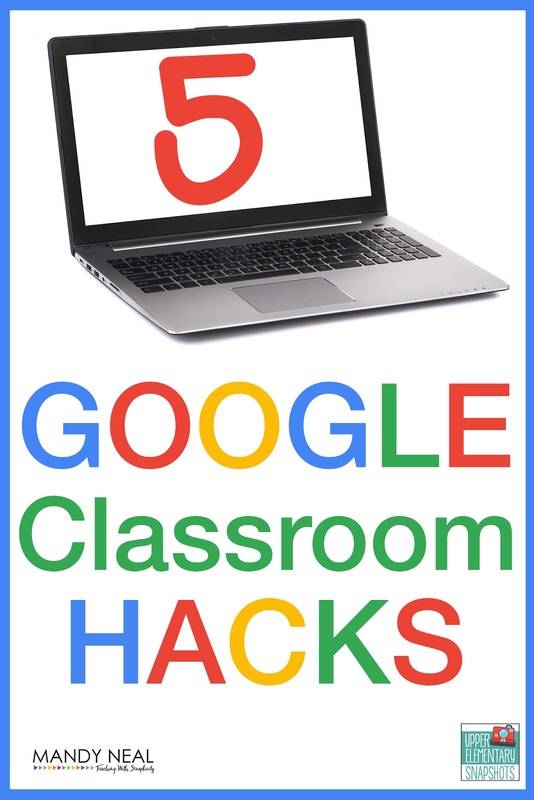 If you are just getting started, or if you are like me and have been using Google Classroom for awhile, there is always something to learn. So, I'm sharing my newest Google Classroom hacks in hopes you might learn something new as well! I teach 3rd grade. At this point, I don't need my students to be making comments on every thread. I have a lot of "hi Mrs. Neal" or "cool" that pops up. You can turn off the comment feature and turn it back on during certain times if you need to. 2. Notifications and turn comment off there. This hack is one that isn't necessarily used how it may have been designed, but it is how I use it and is perfect for what I need it for. 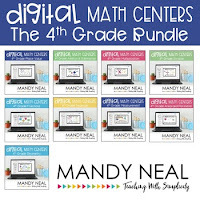 There are certain websites that I want my students to have access to when needed. Yes, I can have them "bookmark" them, but this hack seems to be more effective for them. I create an announcement, add the link, then create a topic. Once that topic is created, it is available on the lefthand side of the class. Very handy, and students know exactly where to find the link. How many of you have documents stored within Google Drive? This is one of the best parts and something that I do ALL the time. Assign students something that I have created. No more making copies, simply share the assignment/project/prompt with students digitally. No only is it easy for me, it prevents students from losing their work! 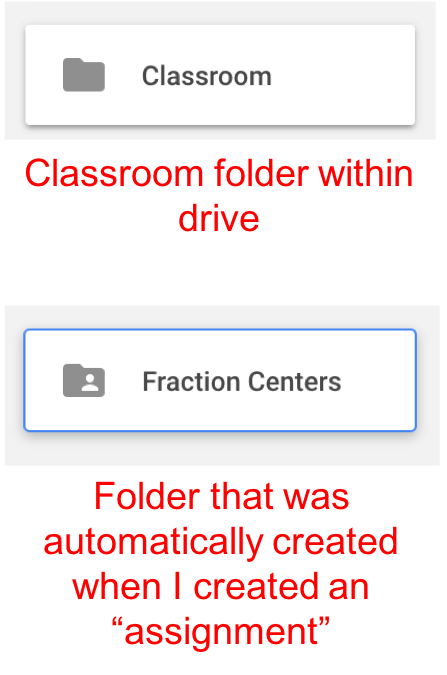 When I first started using Google Classroom and I wanted to share a file with my students, I did just that. 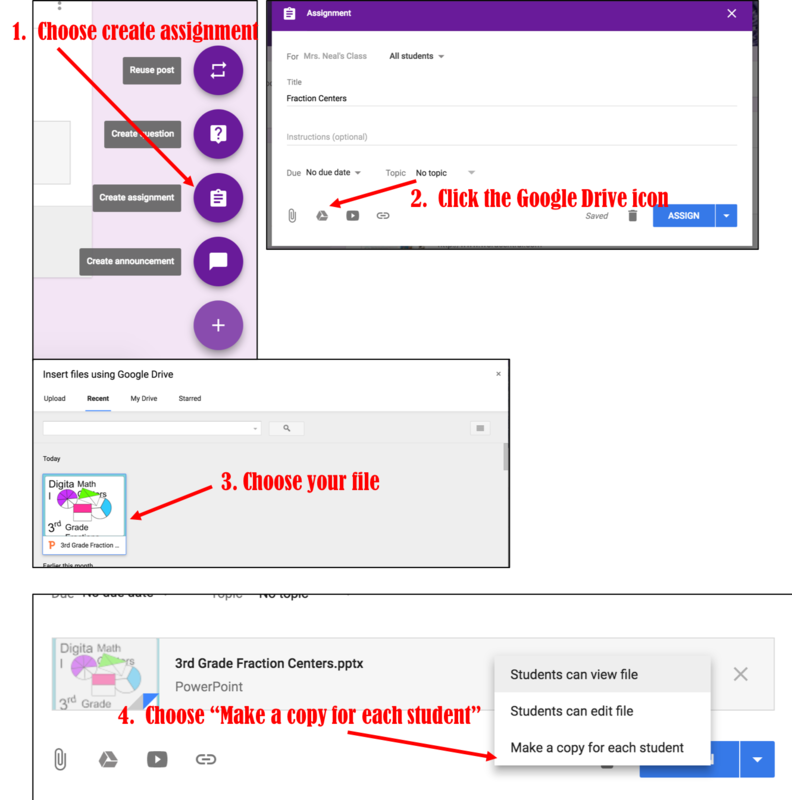 I went into my Google Drive, found the file, clicked share, copied the link, and added it to Google Classroom as an announcement. When I did that, I then had to have my students share the file with me. Then, I received an email from every one of my students saying that they shared the file. The list of things that I had to do after that just kept growing. Once I figure out to create an "assignment" (see number 3) things became soooo much easier. To top it off, it became so very easy to locate the assignment that I wanted to see from my students. When you create an assignment for students, a specific folder is created within the "Classroom" folder within your Google Drive. 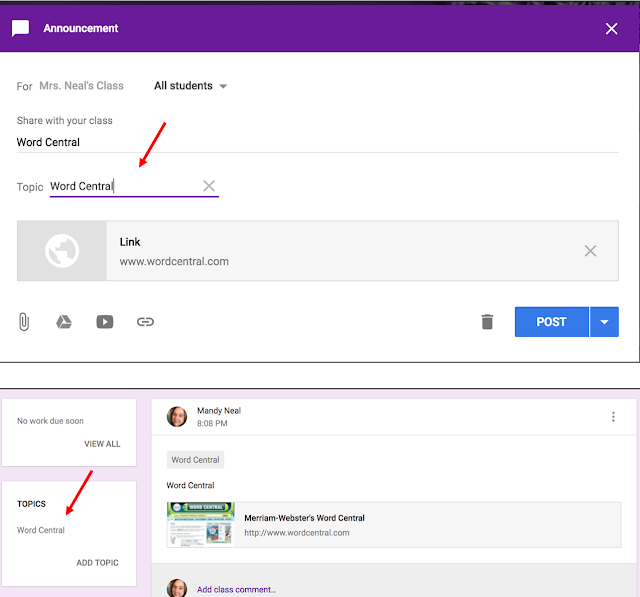 This makes it super easy to locate the assignment and individual work. Here is a list of my own "popular" websites that integrate with Google Classroom. What does it mean when they integrate? It means that you don't have to input each of your students individually into a roster. 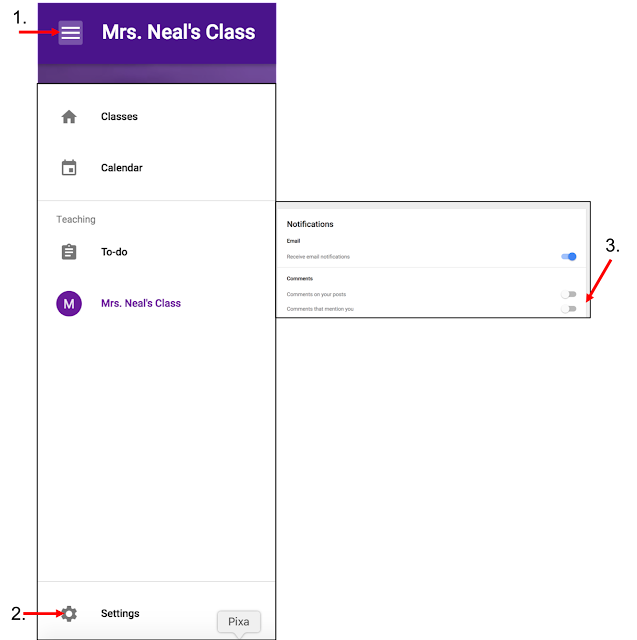 Once you sign in and connect your own Google account, students can then sign in and use their Google account to connect with you. 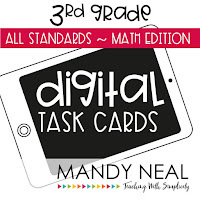 No more requiring students to input a code or scan a QR code. Google connects you all! 1. Pear Deck: Student connects with your presentation, answer your own interactive questions, and learn from their peers. 2. Kahoot! : A fun interactive game to introduce new topics or review topics. 4. Flipgrid: A social learning platform. 5. Quizizz: Similar to Kahoot!, but students work at their own pace. 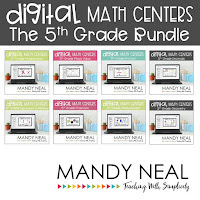 If you're looking for Google Math Resources, go no further! 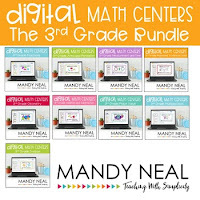 Be sure to check out these resources! Hopefully, you have learned at least one new hack. Google on my friends!